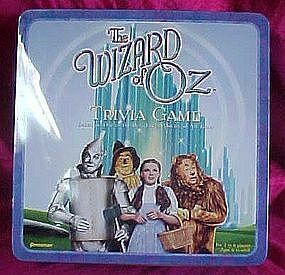 Still In Original Collector Tin, with all original instructions and packaging insert, and game pieces and cards. Everything is here! 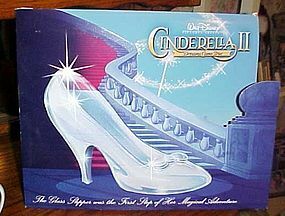 - 2-6 Players - Ages 6 to Adult - ALOMST LIKE NEW! a few faint scratches on the sides, hardly worth mentioning. McDonalds gave these glasses in 1981. They were from the Great Muppet Capers series. This one features The Great Gonzo,Kermit the frog and Fozzie Bear in a hot air balloon. 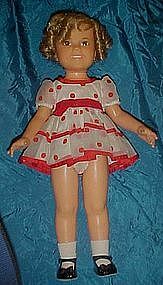 This is the 5 5/8" tall. It has straight sides and indented base. Crisp bright coloring. Wow!! Thank goodness for evolution! A wonderful collectors cookie jar, but not such a handsome fellow. 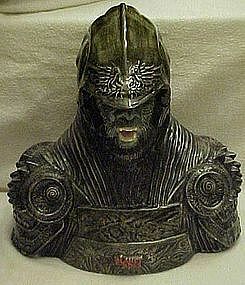 Registerd trademark Twentieth Century Fox official Planet of the Apes cookie jar. Made of hand painted glazed ceramic. A rather large cookie jar. Unfortunately the lid was recently broken and now just the bottom is available. Beware... he looks like he might eat all your cookies!! 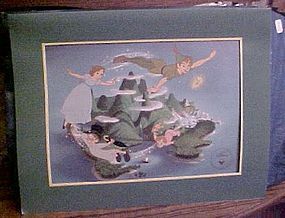 Plate 3 from the Wizard of Oz collection by artist James Auckland. 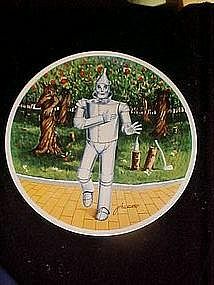 Hand numbered limited edition plate portrays the Tin Man from the Wizard of Oz. Plate measures 8 1/2" in diameter and is in perfect condition. 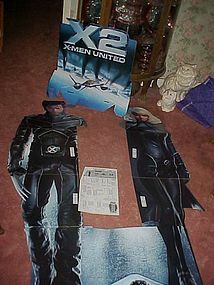 Comes in the original box with papers and certificate of authenticity. 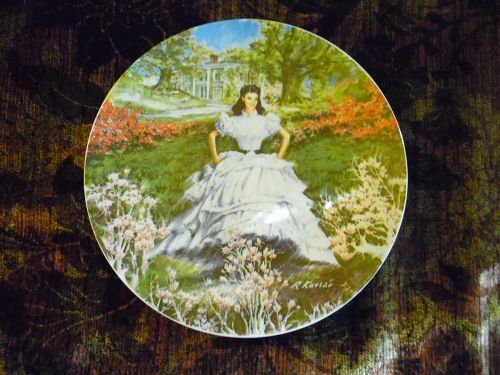 Made by Knowles China. First issue from the W.S. 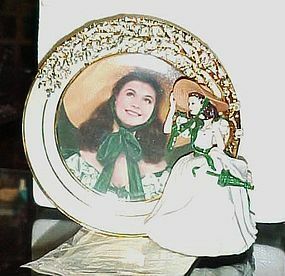 George/ Bradford Exchange, Gone With The Wind Golden Anniversary series by artist Howard Rogers. This one is titled, Scarlett and her suitors. 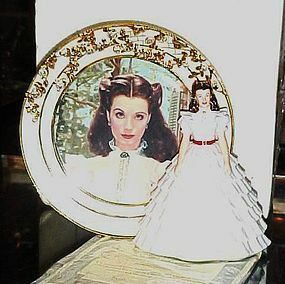 Measures 8 1/2" in diameter and is hand numbered and a limited edition. 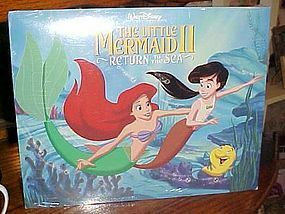 Comes in the original box with certificate of authenticity and other papers. Perfect condition! 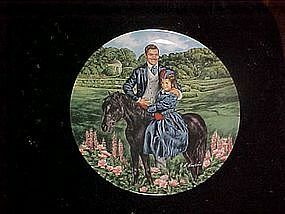 Sixth issue plate in the W.S. 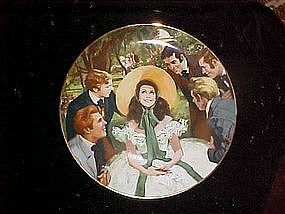 George/Bradford Exchange series, Gone With The Wind Golden Anniversary series by artist Howard Rogers. 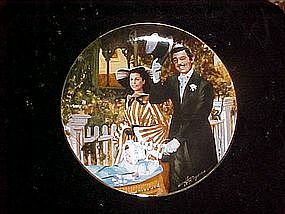 Hand numbered limited edition plate measures 8 1/2" in diameter and is in perfect condition. 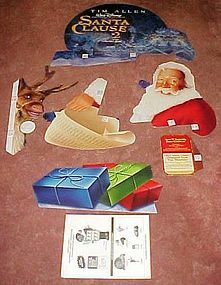 Comes complete in the original box with certificate of authenticity. 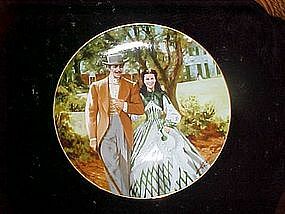 Fourth issue in Knowles' Gone with the Wind colllection by artist Raymond Kursar. 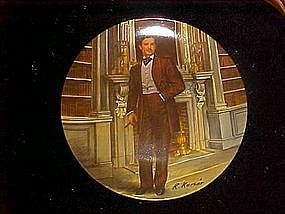 Plate measures 8 1/2" in diameter and portrays Rhett (Clark Gable) standing fireside. Hand numbered limited edition plate is in pristine condition and comes in the original box with certificate of authenticity.